Kabir Khan’s “Bajrangi Bhaijaan” and Nikhil Advani’s “Hero” — two maiden productions of Salman Khan Films banner – will be distributed globally by Eros International Media Ltd. 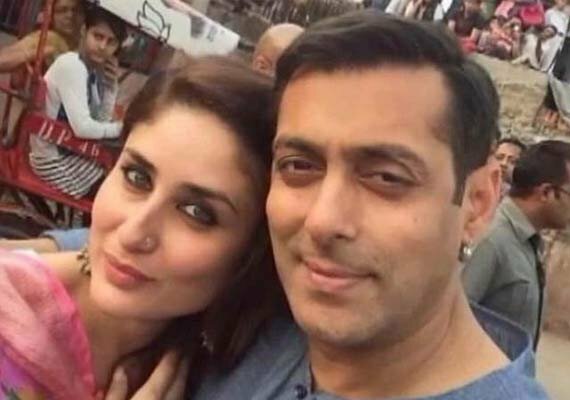 While “Bajrangi Bhaijaan” is set for an Eid release in July 2015, “Hero”, a modern day remake of Subhash Ghai’s eponymous classic will see the launch of two new stars and is set to engage youth audiences when it releases in summer 2015. “We’re delighted to showcase this brilliant line-up to the global audience with our worldwide marketing, digital and distribution network,” Jyoti Deshpande, Group CEO, Eros International, said in a statement. “The combination of Salman, Kabir Khan, Eid and ‘Bajrangi Bhaijaan’ not only promises fans and audiences larger than life entertainment, but we also look to it setting new box office records as Salman did this year. “We’re equally excited to launch bright new talent with ‘Hero’ and are positive the audiences will embrace Nikhil’s interpretation of the classic musical romantic hit,” Deshpande added. “Hero” will mark the launch of two new faces in the film industry — Sooraj Pancholi and Athiya Shety. “We are happy to collaborate with Eros for both the films to fulfil our vision and ensure the maximum global exposure for our films,” said Amar Butala of Salman Khan Films.